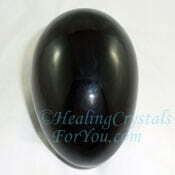 It is said to act as a barrier against physical harm, and is specifically known to act as a guardian stone that is highly protective energetically as it helps to prevent intrusion by psychic entities. 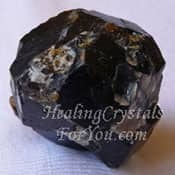 It has strong metaphysical properties that may help you when the community is feeling negative from fearful events seen in the media that they feel they have no control over. 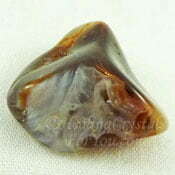 It has a number of useful healing attributes, and using this stone may be especially beneficial at these times when there are increasing feelings of distress and alarm among those watching events play out around them. Jade has been in use since ancient times, and archeologists have found it in ancient digs in Europe, Asia and Central America. Due to its toughness it was used to make knives, ax heads and tools. It is believed that it was used by the ancient Chinese, Mayan and Aztec civilizations, as well as one very ancient site in Siberia which is dated to 5000BC. The English word Jade is related to a Spanish word 'piedra de ijada', meaning 'loin stone'. 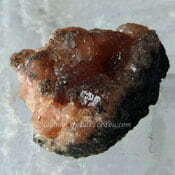 The word was first used in 1565 as the stones were reputed to aid the healing of issues in the loins or kidneys. 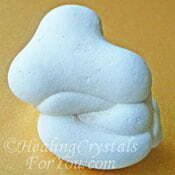 The term Nephrite comes from the Latin translation of the same word. 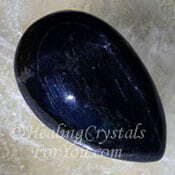 Black Jade is a now a general term that is used to describe both Nephrite Jade and Jadeite. 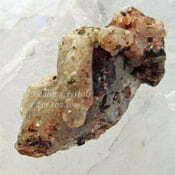 Nephrite Jade is a calcium magnesium silicate and Jadeite is sodium aluminium silicate. 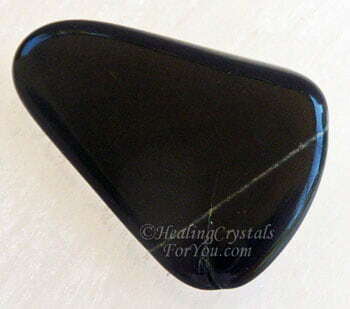 There is a very large deposit of the Black Nephrite variety in South Australia, but it is also found in Canada and in a couple of locations in the USA. 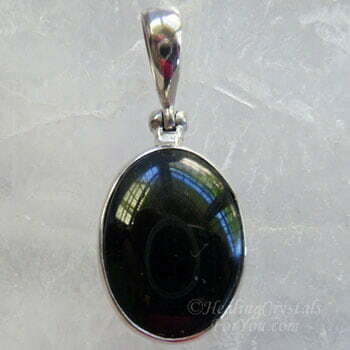 Black Jadeite is found in Burma and Guatemala. The color of either type of these stone comes from the inclusion of fine pieces of black hornblende, graphite or iron oxide. One of my pieces of the South Australian stone has inclusions of some sort of plant matter, and it is common for these stones to have lovely wavy patterns or contain dendritic inclusions. Both types of the stone are quite tough and have a fine grain, which makes it extremely hard to distinguish between the two types, so they are both now called by the same name. Interestingly they both also have a similar energy. 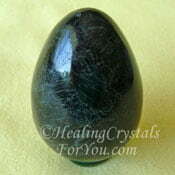 Black Jade acts as a guardian stone and has a strong energy for psychic protection. 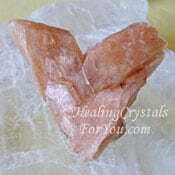 Its energy is beneficial to use to block intrusion by psychic entities. It may be helpful to use at times when you think this could be an issue such as when you are meditating with a group you do not know, and you are opening yourself to spiritual exploration. 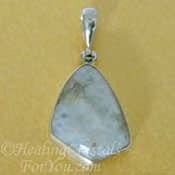 Note that this stone may absorb negativity, so it is highly beneficial to regularly cleanse the stones you are using with any of the cleansing methods here. It also is known to give protection from physical harm and for this reason it may be useful to keep you safe when you're taking a journey to places that are unfamiliar to you. 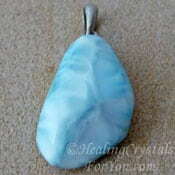 Jewelry made from this stone may be beneficial to wear on the body at these times. 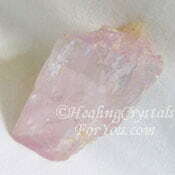 These crystals also have a strong vibration to aid spiritual grounding, and are useful stones to aid emotional healing. Their energy may help you when people around you are feeling angry or negative, or when you feel you are getting sucked in by others energy. If you do get sucked in, it may assist you to release any feelings that may be stirred up that might be related to personal experiences. 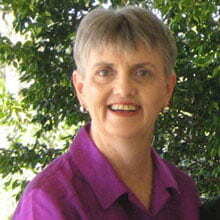 Sometimes your emotions may be related to feelings from your past that cause you to feel angry or fearful. Their energy can help you to let go of any negative feelings that come to the surface when this happens, allowing you to release harmful responses or reactions that may be traumatizing you. 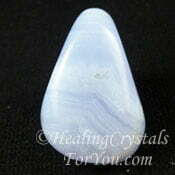 If at any time you become filled with uncomfortable or undesirable emotions such as ill feelings towards others, the vibration of this stone helps to transform the negative feelings into positive. 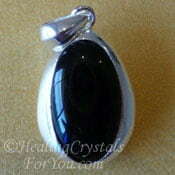 These stones help to transform negative feelings of any type, assisting you to release sorrow, guilt, anger envy or fear. Use it in meditation to discover more about what is behind the feelings you are experiencing, knowing you will be protected while doing so. 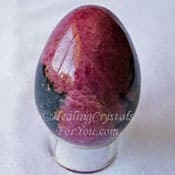 These stones have a number of good healing properties including their action to protection you from various types of infection, and are known to ward off parasitic or bacterial infections. They are also said to prevent viruses from taking hold and have a good cleansing action in the body and may aid the release of toxins through the kidneys. 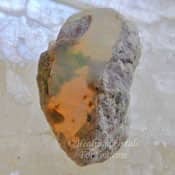 They are also said to aid the health of the adrenal glands, and while they are strong base and earth chakra stones, they have a good healing action within the organs of the sacral chakra. 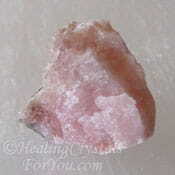 They are known to assist the healing of the problems related to the sexual organs of both sexes and they are reputed to help with the healing of issues in the kidney and bladder. They are known to have been used in the past to assist women giving birth, and they were said to have held a carved feminine sculpture to aid an easier birth. They are said to be helpful to assist problems in the bowels such as IBS or constipation, as well as helping the feet and knees. They are also reputed to be particularly helpful for older people to use, and may help with the many issues that are commonly effect you as you age. 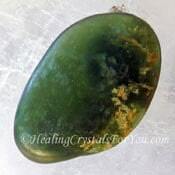 This is a good stone to wear for protection when you are traveling or at times when those around you seem to be sucking your power, as it will make you less attractive to their energy. 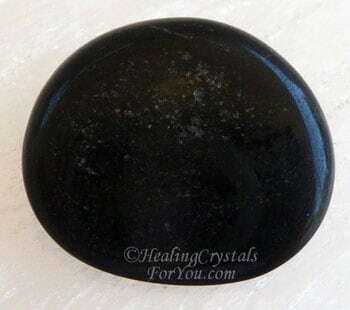 This is known as one of the stones to wear to protect you when you are spending time with anyone who is feeling negative or angry and seems to drag you into their negative stuff. It may also assist you to let go of feelings of anger, hatred and fear that may be affecting you as a result of contact with others or what you see in the media. "You're safe, not because of the absence of danger, but because of the presence of Spirit." Anonymous. 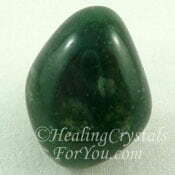 This is a helpful stone to assist you to let go of anger but if you need extra help combine it with other stones that help to extricate you from angry feelings. Some stones you may choose to use to aid you to let go of angry feelings includes Bauxite, Stellerite, Rose Quartz, Agrellite, Green Calcite, Larimar and Blue Lace Agate. 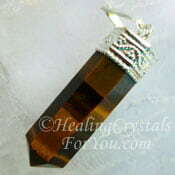 It may assist you with releasing fear but to stop you from experiencing the ongoing distress related to these negative feelings and get greater relief, use it with other stones that help the release of fear. 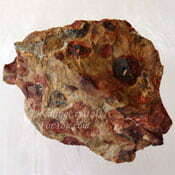 Use it with stones such as Rhodonite, Moss Agate, Witches Finger, Black Obsidian, Tigers Eye, Menalite or Kunzite. 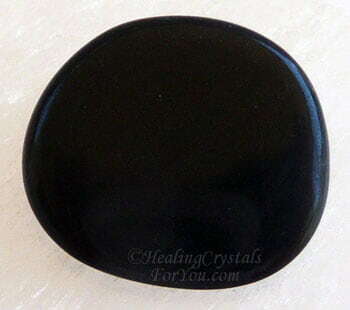 These are excellent psychic protection stones that are known to be extremely helpful when worn on the body as they prevent incursion of negative entities into your energy field. 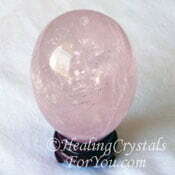 If you specifically feel that you extra help, particularly if you have been undergoing psychic attack, you may choose to use it with other strong protection stones. 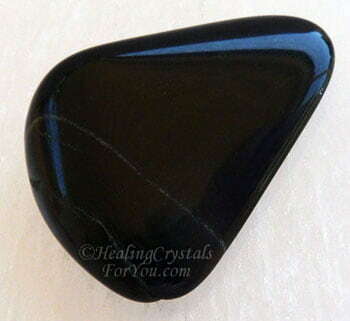 Specific stones you may choose to use includes potent protective stones such as Black Tourmaline, Black Spinel, Black Obsidian, Fire Agate, Black Andradite Garnet or Black Diopside. 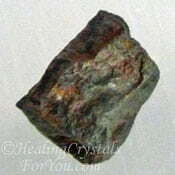 If any sort of psychic attack continues there are a number of other stones that can create a barrier around you to deter this, such as Cookeite, Maori Greenstone, Pyrolusite, Fire Agate or Tantalite.